Although sturdy and highly maneuverable, it was under-powered and weakly armed when compared to its contemporaries. 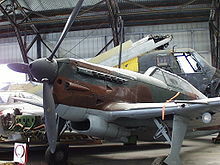 Most critically, it was out-performed by the Messerschmitt Bf 109E during the Battle of France. The M.S.406 held its own in the early stages of the war (the so-called Phoney War), but when the war restarted in earnest in 1940, 387 were lost in combat or on the ground (for various reasons) for 183 kills in return. The type was more successful in the hands of Finnish and Swiss air forces who developed indigenous models. 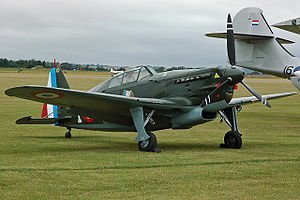 Morane-Saulnier's response was the M.S.405. It was the development of the Morane Saulnier Engineer in chief: Paul-Ren� Gauthier. The MS.405 was a low-wing monoplane of mixed construction, with fabric-covered wooden tail, but a bonded metal/wood material (Plymax) skin fixed to duralumin tubing. Plymax consisted of a thin sheet of duralumin bonded to a thicker sheet of plywood. Morane-Saulnier had a long history of producing warplanes dating back to pre-World War I years but in the inter-war period, they had concentrated on civil designs. The aircraft was a departure for them, being their first low-wing monoplane, first aircraft with an enclosed cockpit, and their first design with retracting landing gear. Prior to this, their most modern designs were fixed-gear parasol monoplanes. The result of these changes was the M.S.406. The two main changes were the inclusion of a new wing structure which saved weight, and a retractable radiator under the fuselage. Powered by the production 860 hp (641 kW) HS 12Y-31 engine, the new design was over 5 mph (8 km/h) faster than the 405, at 304 mph (489 km/h). Armament consisted of a 20 mm Hispano-Suiza HS.9 or 404 cannon with 60 rounds in the V of the engine and fired through the propeller hub, and two 7.5mm MAC 1934 machine guns (one in each wing, each with 300 rounds). A weakness of the MAC 1934 was its operation at high altitudes. It was found that at altitudes over 20,000 ft, the guns had a tendency to freeze. Heaters were added to the guns for high altitude use. In 1938, Switzerland licensed the M.S.406 for local production as the D-3800. Two of the pre-production M.S.405 samples were completed as M.S.406H and sent to them as pattern aircraft in late 1938 and early 1939. These examples had the earlier wing design of the 405, but were powered by the newer 12Y-31 engines as used by the MS.406. Pre-production started with a run of eight aircraft from EKW with engines built by Adolph Saurer AG driving a new Escher-Wyss EW-V3 fully adjustable propeller. Instruments were replaced with Swiss versions and the drum-fed MAC machine guns with locally designed and built belt-fed guns, so eliminating the wing-bulges of the French version, and avoiding the freezing problems encountered by French guns. The first of these aircraft was completed in November 1939. The pre-production models were then followed with an order for a further 74 examples, which were all delivered by 29 August 1940. In 1942, a further two were assembled with spares originally set aside for the original production run. The Swiss continued development of the MS.412 when French involvement stopped following the June 1940 Armistice. The Dornier-Altenrhein factory completed a prototype powered with a licenced-produced HS-51 12Y engine, generating 1,060 hp (791 kW) together with the fixed radiator and revised exhausts as tested on the MS.411, in October 1940. The new type retained the armament changes and other improvements introduced on the D.3800. This series was put into production in 1941 as the D-3801 with continued deliveries until 1945 with 207 completed. Another 17 were built from spares between 1947 and 1948. Reliability of the new engine was at first extremely poor, with problems with crankshaft bearings causing several accidents. The engine problems slowed deliveries, with only 16 aircraft produced in 1942 and a single aircraft delivered in 1943. The engine problems were eventually resolved in 1944. With 1,060 hp from the HS-51 12Y, the speed was boosted to 535 km/h (332 mph), roughly equivalent to the D.520 or the Hurricane. Weights were between 2,124-2,725 kg. After being retired from operational use as a fighter when the North American P-51 Mustang was acquired in 1948, the type remained in service as a trainer and target tug until 1959. 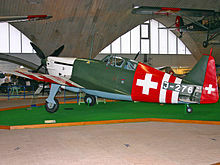 The D.3802 was based on the MS.540, with a new engine, the Sauer YS-2 (1,250 hp). The prototype flew in the autumn of 1944. This aircraft had several shortcomings, but it was capable of 630 km/h. 12 were produced and saw limited use with Fliegerstaffel 17 and some other units. The last development of this aircraft was the D.3803, with Sauer YS-3 (1,500 hp), and modified dorsal fuselage (with an all-round visibility canopy). The D.3803 was armed with three HS-404 20 mm cannons (one in the nose, two in the wings), plus up to 200 kg bombs and rockets. Despite not having a powerful engine, the type reached 680 km/h at 7,000 m. The performance was impressive, but the last development of this 1935 fighter design had several shortcomings and was not entirely successful. Its development was halted as P-51D Mustangs became available. 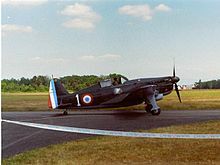 France sent 30 Morane-Saulnier to Finland, between 4 and 29 February 1940. By 1943 Finnish had received an additional 46 M.S.406s and 11 M.S.410s purchased from the Germans. By this point, the fighters were hopelessly outdated, but the Finns were so desperate for serviceable aircraft that they decided to start a modification program to bring all of their examples to a new standard. 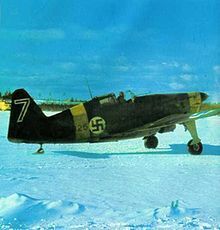 The aircraft designer Aarne Lakomaa turned the obsolete "M-S" into a first rate fighter, the Mx�rkx�-Morane (Finnish for Bogey or Ogre Morane), sometimes referred to as the "LaGG-Morane". Powered by captured Klimov M-105P engines (a licensed version of the HS 12Y) of 1,100 hp (820 kW) with a fully adjustable propeller, the airframe required some local strengthening and also gained a new and more aerodynamic engine cowling. These changes boosted the speed to 326 mph (525 km/h). Other changes included a new oil cooler taken from the Bf 109, the use of four belt-fed guns like the M.S.410, and the excellent 20mm MG 151/20 cannon in the engine mounting. However, supplies of the MG 151 were limited, and several received captured 12.7mm Berezin UBS guns instead. Germany took possession of a large number of M.S.406s and the later M.S.410s. The Luftwaffe used a number for training, and sold off others. Finland purchased additional M.S.406s (as well as a few 406/410 hybrids) from the Germans, while others were passed off to Italy and Croatia. Those still in French hands saw action in Syria against the RAF, and on Madagascar against the Fleet Air Arm. Both Switzerland and Turkey also operated the type; the Swiss actually managing to down a number of both German and Allied aircraft, 1944-1945. Before the Pacific campaign proper, Vichy authorities in French Indochina were engaged in a frontier war against Thailand, during 1940-41. A number of M.S.406s stationed in Indochina downed Thai fighters before the French Air Force abandoned the theatre. Some examples of the M.S.406 were captured by the Thai Air Force. The M.S.406 had a parallel career in Finland. In February 1940 the first 30 French fighters were allocated to LeLv 28, commanded by Major Jusu. These aircraft received the Finnish designations MS-301 to MS-330. They were used in combat during the Winter War, against the USSR and carried out 259 operational sorties and shoot down 16 Soviet aircraft. In modified form, the M.S.406 were later involved in the Continuation War. Between November 1939 and 4 September 1944, Lv28 scored 118 aerial victories flying the Morane M.S.406 (the unit flew Bf 109Gs for a time, as well). The unit lost 15 aircraft. Total Finnish kills amounted to 121. The top Morane ace in all theatres was W/O Urho Lehtovaara, with 15 of his 44.5 total kills achieved in Moranes. The Finnish nicknames were Murjaani (blackmoor), a twist on its name, and Mx�timaha (roe-belly) and Riippuvatsa (hanging belly) for its bulged ventral fuselage. Gunti, Peter. "Alpine Avenger". Air Enthusiast, Forty-seven, September to November 1992, pp. 22-27. ISSN 0143-5450.